After months of difficulties, Rio Tinto’s (LON:RIO) flagship copper-gold mine in Mongolia, Oyu Tolgoi, will start producing early next year as the company finally solved the issue of power supply via next-door neighbor: China. The $6 billion project was complicated by a stand-off in talks over power supply between Mongolia and China, but Rio's majority owned Turquoise Hill Resources (NYSE, TSX:TRQ) announced on Monday it signed an important power purchase agreement with Inner Mongolia Power Corp.
After the news, the Vancouver-based company's stock was up 76 cents, or about 9.5% at $8.83 in early trading Monday. First ore from Oyu Tolgoi is expected to be processed within six weeks and Turquoise Hill reiterated that commercial start-up of Oyu Tolgoi is expected to in the first months of 2013. The Canadian company is also expected to release a feasibility study for underground mining next year, which it says could commence in 2016. Turquoise Hill will spend $6.2 billion on phase one of the project and is working to secure $3 billion to $4 billion to bring Oyu Tolgoi to full production in 2018. Rio Tinto (LON, NYSE & ASX:LON), Turquoise Hill Resources —formerly known as Ivanhoe Mines—and the government of Mongolia co-own Oyu Tolgoi mine. Turquoise Hill Resources holds 66% of Oyu Tolgoi, while Rio runs the project. Now that the power issue has been solved, Mongolia’s attention is likely to turn to the investment agreement that governs Oyu Tolgoi’s development. Authorities asked Turquoise Hill in October to hold new discussions over the contract, a request the miner rejected. 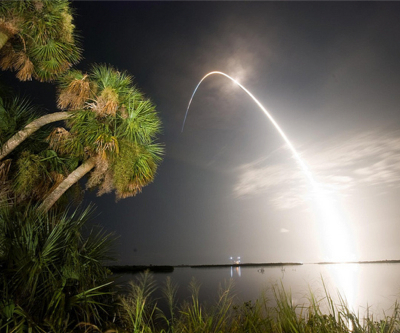 Image: NASA’s space shuttle Discovery lights up the night, by NASA on The Commons.